As the holiday shopping days get fewer and fewer, you might be scrambling for ideas for those that just seem to “have everything”. Here’s a cute stocking stuffer that is sure to please someone who loves scent and favors products that are earth-friendly. 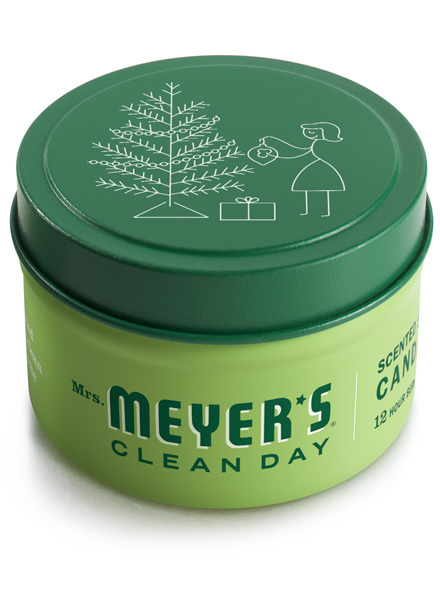 Recently I discovered the product line Mrs. Meyer’s Clean Day. These products are hardworking, using naturally occurring ingredients and essential oils that are tough on dirt, yet gentle on your home and earth. (Their detergent is the best! I don’t need to use Oxi Clean any more, just sayin’.) A delightful addition to their cleaning products are Holiday Tins that would be a sweet, little gift or stocking stuffer. 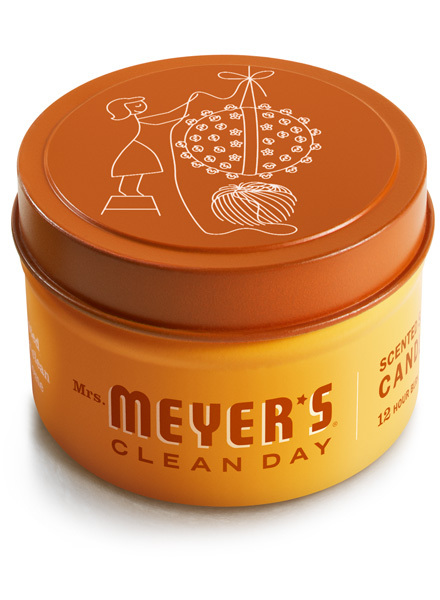 Fill the home with holiday cheer with a Mrs. Meyer’s Clean Day Orange Clove Scented Soy Candle. Whole oranges, embellished with cloves, give off a warm and spicy citrus scent. Crisp Iowa Pine, with a touch of clove and cedar, give this soy-based candle a scent that’s as fresh as a just-cut Christmas tree. Both candles come in a reusable tin — perfect for cleaning and organizing. The price is around $2.99 for each tin. You can find these candles at Target, Whole Foods, Kroger stores and online at www.mrsmeyers.com.